At the age of 26 John Lilly was working as a shopman at a firm of tailors in Liverpool. This was in 1851, but the next year he moved to Birmingham and set up his own business in Bull Street. The business prospered, and a few years later he married Emma, who was younger than him by fourteen years. They set up house in Jockey Road, and in 1860 they had sufficient money to buy some property at Reddicap Hill in Sutton as an investment - two small fields and some cottages. The firm of Lilly and Addinsell, hosiers, glovers, shirtmakers and general outfitters, flourished on the corner of New Street and Bennets Hill in Birmingham in the 1870s, and John Lilly’s thoughts turned towards having a house more suited to his wealth and status. An imposing house was built on one of his fields at Reddicap Hill - a dominating site with wide views across to Sutton Park - named The Mount because of its hilltop location. The Lillys were living at the Mount in 1881. They had no children of their own, but their 12-year old niece, Gertrude Stevens, was staying with them, and they had three servants. The house was arranged round a grand central hall open to the roof level and lit by a glass dome; the entrance was via a porch at the base of the turret. Doors from the central hall led into three grand rooms, the Chinese room with its bay window at the front, the lounge with a huge bay window overlooking the side garden, and the dining room also overlooking the side garden. The other two sides of the hall were flanked by smaller rooms and servants quarters, and a grand staircase led up to the three main bedrooms and three smaller ones. Outside there was a two-acre garden including a sunken tennis court and a revolving summer house. John Lilly died in 1901, leaving The Mount to his nephew, Harry John Lilly, who also took over the New Street tailoring business. Harry was 41, his wife Grace was 32, and they had two daughters and two servants living in at The Mount - also resident there in 1901 was Harry’s 19-year-old nephew Arthur Lilly. 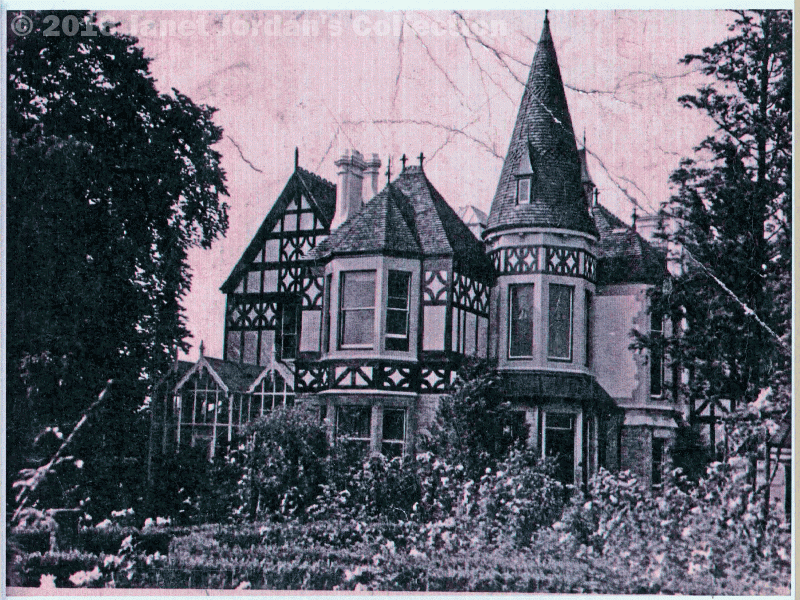 The Lillys continued at The Mount for another thirty years, followed by several different owners until it was sold to the borough council in 1960. Now the site, now known as Mount View, is dominated by tall blocks of flats.